For years, our company has held a leadership position in the residential locksmith field. Our team of professionals offers a comprehensive range of solutions from installation, repair and rekeying of house locks to the repair and replacement of keys. Seek our emergency service at any time as it is available 24/7. You will receive the fastest problem resolution. Our solutions for security enhancement are designed for both new and existing homeowners. Count on us to give your family and assets the required level of protection. If you end up locked out of your house or apartment, get in touch with us right away!One of our professionals will be with you shortly. Our emergency service is extremely well organized, aimed to solve our customers' problems as fast as possible. Our technicians use advanced and reliable techniques for overcoming even the most specific locksets. The underlying cause of the problem is eliminated swiftly as well no matter whether it is jammed lock or broken key. Issues like lockset malfunctioning and damage are resolved perfectly by our professionals. Our lock repair service includes everything from readjusting internal mechanisms to replacing components. When necessary, we clean and lubricate the devices to ensure their smooth operation. At "Locksmith Wilmette", we use the finest spare parts and the safest and most potent cleaning products and lubricants. Our clients receive only the best in every respect. 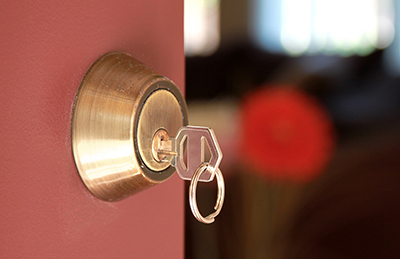 One of our most widely used solutions for restoring home security is lock rekey. Our technician changes the pin configuration of the cylinder using special tools and enables the locking and unlocking of the door only with a new set of keys. In this way, the problem of stolen or lost keys is completely eliminated. In general, there is no need for an accident to happen in order for a homeowner to use this or another one of our services for security enhancement. When you want to make your home more secure, you simply need to turn to us and we will do all the work for you. Our service includes door security assessment, help with the selection of new locksets and the installation of the new devices. Via our residential lock change service, you can get the most advanced protection. Our technicians are experts in installing deadbolts and electronic locks. Another one of our special solutions is the installation of safes. You will receive full assistance with choosing the most suitable device. The fitting job will be completed accurately and swiftly. You can expect effective and lasting results with each of our services.